Are you looking to write your own script or are you in the middle of screenwriting? 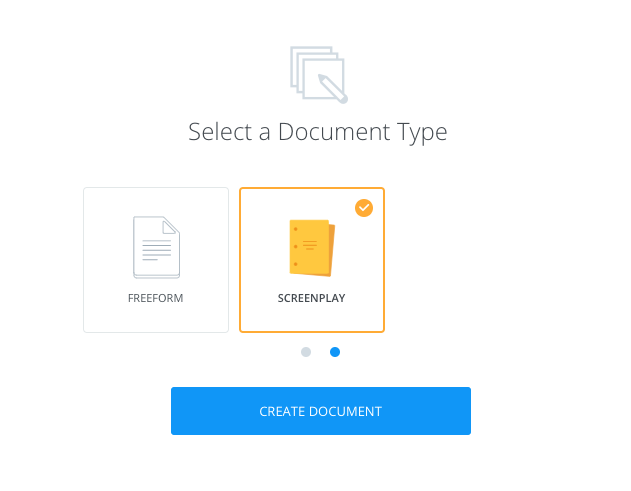 You can create a freeform document or screenplay from scratch. Note: To use the Write feature, you must first ensure that Documents has been enabled. Which document selection is best for video briefs? To write your video brief scripts, we would suggest using Freeform since you won't be tied to any screenplay formatting options.